General recitals are at AWC and are comprised of students from 150 + different teachers, so the available spots are limited. Teachers select hardworking students from their studios who need performance experience to participate in the available General Recital dates sponsored by Northern Virginia Music Teachers Association. I attempt to allow as many of my students who fit that description to enjoy the experience as possible, so I try to get 12 students per year to perform. General recitals are a wonderful, unjudged experience, allowing performers to meet so many other performers in Northern Virginia, and learn to enjoy the performance experience. It is not necessary to take copies of your music. You should record your performance to review later! Do not take music. Since this activity is UNJUDGED no judging sheets are needed. Our studio performance guidelines pertain to this and all performances outside our studio. The reason I list 2:30-5:30 pm on every General Recital date in our studio calendar is because that is the only time given on the official NVMTA Activities calendar. This is because the time fluctuates somewhat. 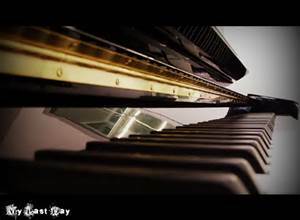 We may request the time to be in the "earlier--first" recital, or to be in the "later--second" recital. 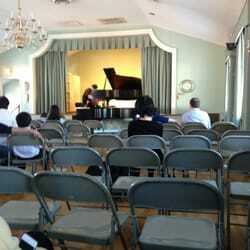 There are usually two full recitals that begin at either 2:30 pm or 3:30 or 3:45 pm approximately, but this depends upon the enrollment for each recital. The general recital chairman sends teachers a copy of the program that includes the EXACT start date for the recital approximately one week before the performance date.